Is my tiredness normal or do I have a problem? 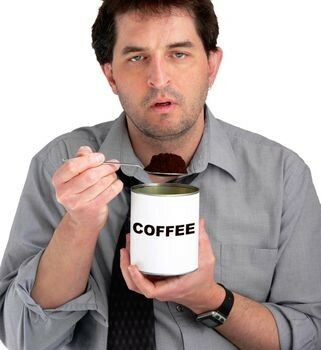 Most fatigue is normal, reflecting inadequate sleep, overwork or stress. Normal fatigue is usually relieved by a good night’s rest or, at most, a relaxing weekend. When this is not the case, conditions and illnesses that cause fatigue should be considered. As common in medicine, history is most important. How long has the fatigue been going on? When the onset can be traced to a lifestyle change – different work schedule, new marriage, etc. – the answer usually relates to the change with causes such as inadequate relaxation or new stresses. When is the fatigue most apparent? Weekday fatigue absent on weekends would certainly suggest factors such as stress and overwork. One caveat: most fatigue, whatever the cause, improves with a good, relaxing weekend but, if the fatigue is due to an illness, the fatigue might improve over the weekend but should not be entirely gone. Weekday fatigue might be the result of “sick building syndrome,” an often overlooked cause. Most office buildings built since the 1970s are sealed making it impossible to open a window. If the HVAC does not provide enough fresh air the irritation from air contaminated by building chemicals, mold, etc. causes nasal and sinus symptoms with resulting fatigue. What about fatigue that is more noticeable on the weekend than during the work week? It happens more often than you might think. Assuming that the weekend is not loaded with a stress that is less apparent than that noted during the week, several factors are often responsible. Obviously too much socializing, partying and drinking could well be the cause, but these are usually obvious to the person. A more subtle reason for fatigue more apparent on the weekend than during the week is, oddly, too much sleep. Many people get an “overslept” sensation when they sleep in on a Saturday or Sunday. Fatigue due to too much sleep is a curiosity noted more commonly in patients with allergies and sinus problems than it is in the general population. People with this condition need a fixed amount of sleep and should not sleep more than the usual required hours. Other causes of weekend fatigue would include allergic exposure that does not occur during the week. Outdoor activities with resultant exposure to airborne allergens can cause fatigue as well as typical allergy symptoms. Of course, too much alcohol on the weekend can cause fatigue. Sometimes the relationship isn’t obvious. Some individuals have an allergic response to alcohol, particularly red wine, producing fatigue the following day after amounts that were quite reasonable. If I’m not fatigued on a vacation does that mean my fatigue is due to stress? Not necessarily. A change in climate is quite helpful for people with fatigue related to allergies. A person might be tired in a rainy area of the country that is laden with mold but feel quite good in the clean, dry desert. Additionally, there might be some airborne irritant present at home or in the office that’s not present in the vacation home or hotel room. When trying to find an answer for the symptom of fatigue keeping a fatigue diary can be quite helpful. Noting any activities, sleep patterns or locations that improve fatigue can offer an important clue. I consider fatigue caused by sinus and nasal issues to be the most common cause of otherwise unexplained chronic fatigue. I’ll describe the evidence for this opinion later but, for now, let’s consider some medical causes that can be missed. An interesting study examined the amount of iron in the blood of women who were not anemic. Usually an iron deficiency, if severe enough, causes anemia but this study was limited to patients with mild iron deficiency, enough to be noted when examining the blood specifically for iron stores but not enough to cause anemia. The distinction is an important one. Prior to this study physicians usually thought that iron deficiency would not cause fatigue if the deficiency was not severe enough to cause anemia. The study went on to measure the level of fatigue before and after iron replenishment. The level of fatigue dropped after the iron stores were returned to normal. Two points are evident from this study: The lack of anemia does not rule out iron deficiency as a cause of fatigue. Additionally, measuring iron stores as simply the level of iron in the blood is inadequate. The iron stores must be measured as “ferritin” a simple and inexpensive blood test but one not always done when evaluating a person for fatigue. Occasionally low thyroid causes fatigue despite a normal TSH—the usual screening test for low thyroid. TSH comes from the pituitary and increases in the event of a failing thyroid usually providing the earliest clue that the level of thyroid hormone is inadequate. Occasionally the pituitary is the problem and although the TSH should be climbing as the thyroid fails, it does not. Checking the actual levels of thyroid hormone (T4 and T3) will pick up a thyroid problem even in the event of pituitary insufficiency. Sometimes an arthritis disease can cause even in the absence of severe arthritis symptoms. Almost always the severity of the arthritic disease seems quite proportionate to the complaint of fatigue. Occasionally this is not so. 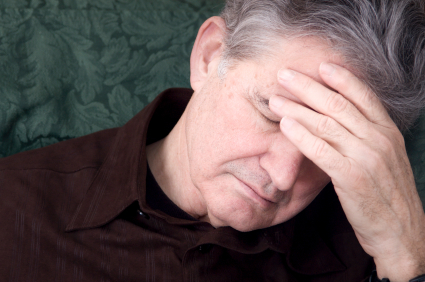 A person might have rheumatoid arthritis with minor joint problems but have significant fatigue. Treating the rheumatoid arthritis usually causes substantial reduction of fatigue. A note of caution: The vast majority of individuals with unexplained fatigue and very minor arthritis symptoms do not have positive blood tests for arthritic diseases. Even when the blood tests turn out positive the blood abnormality is, almost always, at a low level, unrelated to the minor arthritis. In these cases treating the person as if the individual did have a serious arthritis disease does not improve the fatigue. In short, arthritis blood tests in the setting of unexplained fatigue are often a “red herring,” but not always. Occasionally a person may have unexplained fatigue due to a liver problem in the absence of abnormal screening liver function tests. Usually other screening tests, however, denote inflammation. As mentioned before, the best screening tests to determine if, what appears to be unexplained fatigue, is actually caused by a medical problem are the erythrocyte sedimentation rate (ESR) and the C-reactive protein. Both of these are elevated by any process that causes inflammation. Usually any medical disease that causes fatigue causes inflammation as well. The ESR and CRP won’t tell you the cause of the problem but do let you know that there is a problem. The absence of ESR or CRP abnormalities does not mean that the cause of fatigue is not physical. However, when these tests are elevated a physical cause of fatigue becomes much more likely. A recent study in the New England Journal of Medicine described an increased risk of death from cardiovascular causes in patients taking azithromycin. Azithromycin (Z-pack, Zithromax) is a very commonly used antibiotic and this warning merits concern. The increased risk of cardiac death relates to the tendency of azithromycin to increase the risk of an irregular heartbeat. In this study a similar risk of increased cardiac death was noted in patients who took levofloxacin but not in patients who took amoxicillin. The increased risk was small (47 additional deaths per 1,000,000 courses of treatment) and largely limited to patients with very significant heart problems. This increased risk is probably significantly less than that which had been noted with erythromycin in the past. Since vulnerability is limited mostly to patients with significant heart problems (the top 10% severity of heart disease in this study) and, presumably, patients taking a number of cardiac medications some caution is needed when prescribing to these patients. Since the blood concentration of azithromycin causes the problem, particular caution is needed in patients with very severe heart disease who are also taking cardiac medications that will raise the blood concentration of azithromycin such as diltiazem and verapamil. Over 100 years ago William Osler, the father of internal medicine, divided fatigue into three types. The first is the lassitude and malaise associated with systemic illness such as tuberculosis, cancer, rheumatoid arthritis, etc. The second is the weakness associated with muscle and nerve disorders resulting from ordinary exertion. The last is a painful weariness – the cause of which often eludes investigation. These categories provide a useful framework in attempting to diagnose the cause of an individual’s fatigue. Duration further categorizes the symptom. Most patients with prolonged, unexplained fatigue have the third type of fatigue described by Osler, a painful weariness. Fatigue that is less than one-month in duration is often due to a passing virus, stress, or other causes that are difficult to define. The relatively brief nature of the problem eliminates the need for an intense medical investigation, and, unless the problem becomes recurrent, it can be dismissed as one of life’s minor problems. Persistent, significant fatigue, however, is not a minor problem. Even a loss of 10% of a person’s vigor removes enthusiasm and joy from the day’s tasks. Fatigue pulls down the mood and makes everything an effort. Approximately 15% of the general population suffers from chronic fatigue, unrelieved by rest, lacking an adequate medical explanation. Approximately 25% of patients visiting a medical doctor complain of fatigue. Less than half will be explained by a medical illness. Fatigue caused by medical conditions has certain characteristics. A serious medical problem will occasionally present itself as unexplained fatigue before other symptoms become apparent but, inevitably, other symptoms will appear. For instance, a person with pancreatic cancer may first notice fatigue before the appearance of abdominal pain and the other symptoms of cancer occur. Therefore, the longer fatigue persists without other symptoms, the less likely a serious medical condition will serve as the eventual explanation. Fatigue caused by a medical problem has other characteristics as well. Usually patients with typical, diagnosable, medical problems note that their energy is highest in the morning and slowly winds down over the course of the day as if the store of vigor slowly depletes. A nap may recharge the person. Fatigue that remains unexplained usually has different characteristics. Many times, a person has a bimodal curve of energy, worse in the morning, improving with the day, fading in the afternoon, and, finally, getting a second wind at night. A nap can actually worsen things. Additionally, sleeping a long time can produce an overslept sensation. Patients with less serious medical problems can, in certain circumstances, have fatigue with the absence of other symptoms, as is the case with hypothyroidism. 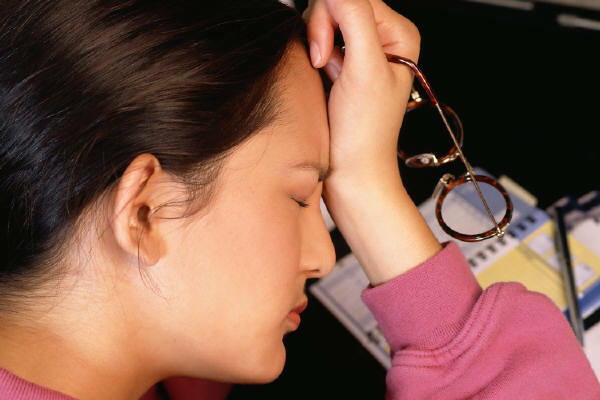 Patients with low thyroid may notice tiredness before the other symptoms appear. These include dry skin, constipation, cold intolerance, etc. Likewise, a patient with anemia can feel tired before noticing other symptoms such as pale skin or obvious blood loss. Causes of fatigue are often easy to figure out. Usually a visit to the doctor and a standard panel of blood tests provides a definite answer. If, after a thorough exam and appropriate blood tests, no answer is apparent, it is unlikely that a medical explanation will be found. A little less than 10 years ago a research project that I had been working on for many years was published in the Archives of Internal Medicine. The observation that propelled me into the relationship described in the article related to my first experiences as a clinician. I was aware that sinusitis caused fatigue years before I became a doctor because of personal experience and conversations with others who also suffered from sinus problems. I was surprised that my own doctor seemed unaware of the association and I was surprised that fatigue was not listed as a symptom in the general medical texts that I searched in college. Nothing changed in medical school. Although the lists of illnesses that caused fatigue was quite long, and the lectures on the subject quite thorough, no one that I can recall mentioned sinusitis as a cause of fatigue. When I first started practice my experience confirmed my own observations that patients with sinusitis were fatigued but, again, a thorough search of the medical literature produced nothing. I then started noticing that patients with a primary complaint of fatigue often, on more detailed questioning, acknowledged sinus symptoms but considered the sinus issue quite minor compared to the more pressing complaint of fatigue. After trying to redirect the focus towards the sinus issue and initiating treatment, patients would usually notice a great improvement in fatigue. Patients found this puzzling. In fact, often a patient would return months later with the primary complaint of serious fatigue completely having forgotten the link with sinusitis. Once again I would treat the sinusitis and the fatigue would remit. In the late 1980s I began to see some notice in the medical literature. A consensus conference of ear, nose and throat physicians in 1987 described fatigue as one of the diagnostic criteria for making the diagnosis of chronic sinusitis. I reported several cases of patients diagnosed as having chronic fatigue syndrome who experienced a complete or nearly complete resolution of fatigue following sinus surgery. Nothing on the subject was mentioned in the internal medicine literature, an unfortunate omission since internists are the doctors who treat fatigue. I was curious about how common sinus problems are found in patients with a primary complaint of unexplained chronic fatigue. This is how the project unfolded. I examined 297 consecutive patients who were younger than 41 years, administered a detailed questionnaire and performed a battery of screening laboratory tests. Young patients were chosen in an effort to exclude the illnesses of older age groups that might confound the results. Of the 297 patients, 65 (22%) noted unexplained fatigue that has persisted for more than one month, fatigue unexplained by the lack of rest, illness, or undo physical or mental exertion. Fifteen (23%) of these patients met the diagnostic criteria for chronic fatigue syndrome, an illness characterized by prolonged and severe fatigue. Of note, symptoms usually associated with unexplained illnesses such as gastrointestinal problems, sleep disturbance, and psychiatric illness were similar in the group with unexplained chronic fatigue when compared to the group with fatigue explained by a physical or mental illness. However, sinus symptoms were much more common in the former when compared to the latter. The results confirmed my suspicion that there is a peculiar and predominant relationship between chronic sinusitis and unexplained fatigue. Chronic sinusitis is the most common chronic illness in the United States. Both the diagnosis and treatment are, unfortunately, controversial. Some feel that signs of obstruction and inflammation are required to accept chronic sinusitis as an appropriate diagnosis. Others feel confident that it is defined by its symptoms regardless of X-ray or other findings. Similarly, one physician may feel that evidence of infection is necessary before prescribing antibiotics. Another may consider worsening of symptoms alone as justification for their use. Natural treatments for sinusitis are quite appropriate after considering several caveats. See your doctor if you develop a fever, severe facial pain, or symptoms not typical of your experience with chronic sinusitis in the past. 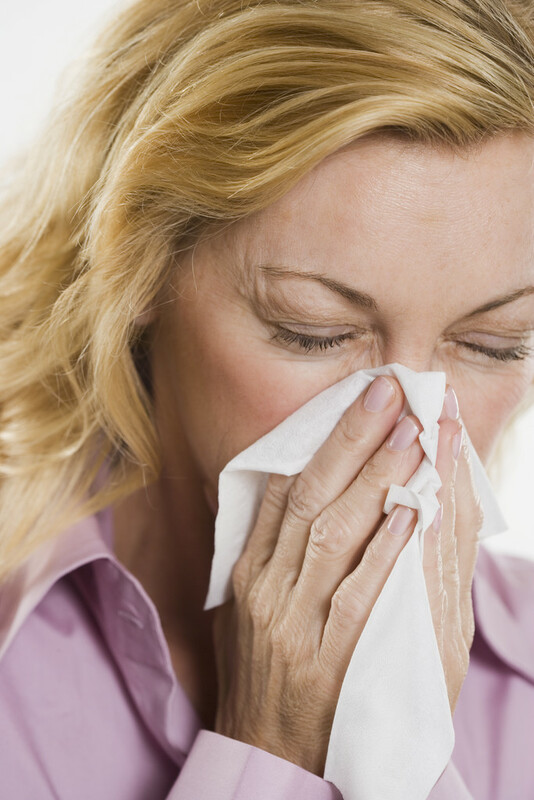 Remember that a fever may indicate an acute sinus infection or a worsening of chronic sinusitis. Antibiotics are usually needed in the presence of fever and may be required for persisting colored nasal discharge, poor response to other treatments, unrelenting fatigue, continuing facial pain, or simply failure to improve. Certain medications can cause or exacerbate sinusitis. 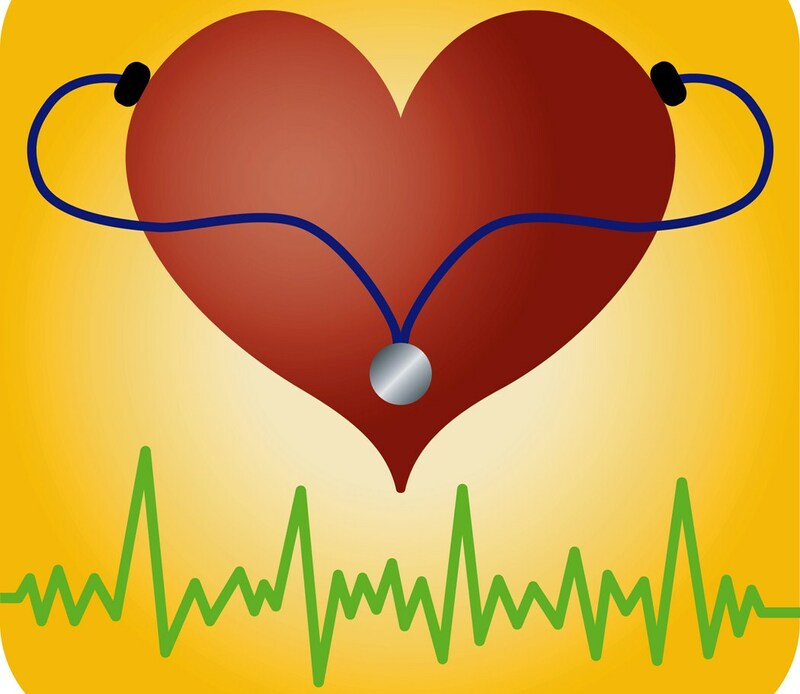 In vulnerable individuals, these include particular medicines for high blood pressure, depression, and heart conditions. Oral contraceptives also occasionally cause problems. Remember the basics: What are you putting into your body each day? One the most common dietary causes of nasal congestion is milk. Eliminating milk and milk products from your diet will tell the tale; no need for a medical allergy evaluation. Give it two weeks. Often the results can be dramatic. Eliminating milk and milk products cures sinusitis and fatigue in approximately 10% of our patients. Although less often than milk, wheat can cause sinus symptoms. A wheat elimination diet is difficult, but can be fruitful. Likewise, other foods and food additives, such as artificial sweeteners, can cause problems. Try eliminating different groups of foods either by yourself or with the help of a dietitian. As you might guess, the foods we often like best are sometimes to blame. On the other hand, some foods clear the sinuses. Garlic, horseradish root, and cayenne (red pepper) may produce a desirable effect. Drinking substantial amounts of water or other fluids frequently help to loosen nasal mucous. Few people with sinus trouble are able to drink wine or beer without causing problems. Spirits are generally better tolerated. A crisp cool day with a slight breeze and no dust, molds, pollens, or pollutants is just what you need. But where? If you could find the place, you probably couldn’t make a living there! Heavy, humid, still days with atmospheric inversions are terrible, particularly if you add in smog and pollutants. Dry, dusty days are also a problem. Barometric shifts often swell the nose, blocking sinus drainage ducts, since spongy areas inside the nose expand to equalize pressure with the outside lower pressure. Evaluate your house for allergens, irritants, humidity and dust. Clean scrupulously while watching for dust collectors such as books, carpets and bedding. Bedding can be a difficult problem. Try covering your mattress and box spring with a special fabric encasing (a product is available through National Allergy Supply, Inc. (www.nationalallergysupply.com), and equipping the heating, ventilation and air conditioning duct system (HVAC) with good filters. For single rooms, a high-efficiency particulate air filter (HEPA) is best. A good one is available through Bionaire, Inc. at www.bionaire.com. One caveat: Air supplied continuously to a room (home or office) from a central fan through a duct system washes out the filtered room air. Consider a HEPA filter for the entire central air system. Alternatively, you may also apply disposable filters monthly over the incoming air ducts to the room. These are also available from National Allergy Supply, Inc. Many “sealed buildings” built in the last 30 years, particularly office buildings with no functioning windows, do not permit the introduction of adequate fresh air, causing sinus symptoms (sick building syndrome). Smoke, substances in cleaners, copiers, rug adhesives, etc. can also be irritating to vulnerable individuals. Try talking to the building engineer. Are the fresh air intake valves open far enough or, for reasons of economy, is the same air being continuously recycled? Where is the fresh air intake duct located: on the top of the building to minimize pollution, or is it near street level where exhaust fumes are highest? Similar problems exist in airplanes. The “virus” many people feel they caught while flying is actually a sinus infection caused by dry, stale, polluted airplane air. Air pressure changes as the plan changes altitude also exacerbate sinus problems. Smoking irritates the sinuses and should be avoided. Some people become exquisitely sensitive to perfumes, soaps, newsprint, etc. Individuals should avoid these and other substances that prove problematic. Adequate sleep is good, but excessive amounts of sleep can be trouble. Lying down reduces the size of the sinus ducts by 20%. Raising the head with a few pillows can help restore flow. Curiously, sleeping on one side of the body improves airflow in the opposite nostril. Stick with the amount of sleep that you usually require when healthy when your sinuses act up. Exercise can be a highly effective and healthy way to deal with sinus trouble. It can open the nose and improve sinus drainage. Sinus clearing is the benefit that many people feel after exercise. Many people feel that vitamins and dietary supplements are helpful. This is difficult to prove. Vitamins, herbs and food supplements can produce beneficial changes in the nose and, occasionally, a marked improvement. 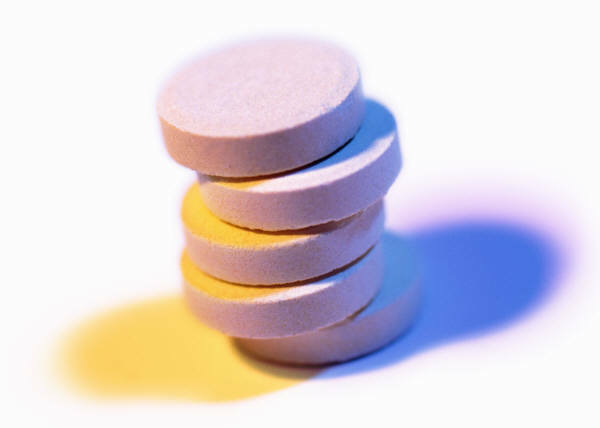 Large doses of certain vitamins, supplements and herbs can cause medical problems. Additional concerns include the lack of standardization and government testing of herbal products. Those with medical problems or those who take regular medications should consult with their doctor before taking such preparations. Of course, when pregnant or nursing, no product should be taken without careful consultation. Some individuals may benefit from a multivitamin, vitamin C in large doses, zinc (25mg), evening primrose oil (linoleic acid and gamma linolenic acid in a gel cap – twice daily), Echinacea pallida herbs and ginseng. 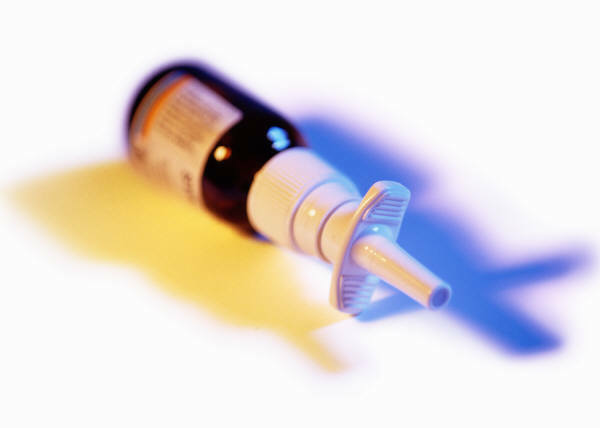 Nasal saline spray often soothes dry, inflamed nasal membranes and reduces mucous viscosity. In some individuals, it has a separate decongestant effect. All commercial preparations are not the same. Some contain a preservative that may be irritating. AyrTM is a well-tolerated product (available from B.F. Ascher & Co.: www.bfascher.com). Warm, hypertonic saline nasals rinses (see below) may be quite helpful, but occasionally are counterproductive and cause irritation. A saline rinse is prepared easily: Mix two to three heaping teaspoons of pickling or canning salt (not table salt) and one teaspoon of baking soda with one quart of clean tap water. Instill into the nostrils by using a bulb syringe or a pulsating jet (Water Pic with nasal adapter, Teledyne Water PicTM at www.waterpic.com). Store at room temperature and discard after one week. If the solution seems too strong, decrease the salt content to one or one-and-a-half teaspoons. A similar spray in prepackaged form is available at ENTsol (available from Kenwood Therapeutics at http://www.entsolwash.com). Wetting Agents (propylene and polyethylene glycol) may be beneficial between or instead of nasal rinses (PretzTM, available at Parnell Pharmaceuticals, Inc. at www.parnell.com). Because the nose tends to dry and crust, paving the way for sinus infection, nasal emollients are often helpful. Spraying with sesame oil is quite effective. Alternatively, an antibacterial ointment moisturizes and kills germs in the nose that lead to infection. BactrobanTM (available in pharmacies) is particularly effective against nasal staph bacteria. Nasal barriers also protect against continual irritation during vulnerable times. Ayr gelTM (www.bfascher.com) protects delicate membranes. Viscous lidocaine, a topical anesthetic, may be applied inside the nose with the tip of the small finger. Nasal steam inhalation, with or without astringents (eucalyptus, pine oil, menthol), decongests and soothes the nose. Warm, dry air alone is also often productive. Likewise, infrared heat directed at the face may help. Nasal steamers offer convenience (available at the Steam Inhaler, Bernhard Industries, Inc., at www.steaminhaler.com, and as VirothermTM from Sunbeam-Oster Household Products, Inc., www.sunbeam.com). You may also simply inhale from a cup of hot water. Try a damp face cloth heated by the microwave for approximately 20 seconds. A warmed or chilled mask filled with jell and placed on the face is another alternative. In the colder months, or in drier climates, indoor humidification helps prevent drying, irritation, swelling and secondary infection. Steam humidification is superior to cold mist or ultrasonic. Warm mist may be added to filtered air in a single unit (available as the BionaireTM series of warm humidifiers, www.bionaire.com). The BionaireTM CM-I is small and particularly convenient for simple humidification. Larger, evaporator type humidifiers for the house include the BionaireTM W-65 (www.bionaire.com), and the Emerson HD850 (emersonelectric.com. An adhesive spreader externally applied to the lower nose can give similar benefit with greater comfort although it is visible on the nose, unlike the dilator spring which is placed inside the nose (available as Breathe RightTM external nasal dilator, manufactured by CNS Inc., Chanhassen, MN. 55317; 612.474.7600). Nasal decongestant sprays may be of help when used sparingly three times daily for three days or less. Xylometazoline (OtrivinTM) or oxymetazole (AfrinTM) is effective but not particularly harsh. Chronic use (more than three consecutive days) may induce “rhinitis medicamentosa,” a problematic condition of rebound swelling often requiring oral corticosteroids as therapy. The risk of rebound is less with more dilute nasal sprays. Adding water to the spray bottle to accomplish I:2 to I:8 dilution is helpful. Local Corticosteroids (BeconaseTM, NasacortTM, RhinocortTM, VancenaseTM, FlonaseTM, NasalideTM, and NasonexTM are the sprays least associated with absorption into the body and the potential problems that could cause. Cromolyn (Nasal CromTM) blocks the nasal response to allergic challenge but is usually less effective than steroids sprays. Both local corticosteroids and cromolyn can cause nasal irritation and drying. Often it is prudent to discontinue these mediations during a worsening of sinus symptoms. AtroventTM is a nasal spray used primarily to stop watery nasal discharge. AstelinTM antihistamine nasal spray blocks allergens as they come in contact with the nose. Oral decongestants often help the symptoms of chronic sinusitis. Pseudoephedrine reduces nasal blood flow and, thereby, nasal engorgement. It is occasionally associated with blood pressure elevation. Some people find the drying agents used in “cold preparations” to be helpful and other do not. Ipratropium (AtroventTM) is recommended by some physicians as a nasal inhaler under certain conditions, but it may cause excessive drying and increased nasal mucous viscosity. Antihistamines are sometimes helpful with the symptoms of chronic sinusitis. Allergic inflammation, often seasonal, predisposes some individuals to chronic sinusitis. A selective HI-antihistamine (ClaritinTM, AllegraTM, ZyrtecTM) may be a desirable option. Iodinate glycerol is a mucolytic agent that stimulates ciliary action and offers some help. Guaifenesin (HumibidTM, or with an oral decongestant, EntexTM) reduces mucous adhesiveness. Oral corticosteroids may provide relief for sinus disorders not responsive to local steroid sprays. Their effect can be dramatic, although they must be used with caution. Aspirin and nonsteroidal anti-inflammatories (AdvilTM, MotrinTM, etc.) can trigger asthma, nasal problems, and sinusitis in susceptible individuals. Occasionally these medications are helpful as anti-inflammatories, decreasing the symptoms of chronic sinusitis. Antibiotic therapy usually offers the most help for those with sinusitis. When the sinus cavity contains pus, antibiotics may be required for a number of weeks. If this is not the case, antibiotics may still help. Often the nasal membranes are covered with infected mucus and the individual experiences sinus pain, aching and fatigue. Antibiotics can resolve the problem in days, although the medicine should be taken for an entire week or more. In the absence of infected nasal discharge or evidence of superimposed acute sinusitis, the use of antibiotics for chronic sinusitis has been questioned. Some feel that most cases do not represent an infectious process and do not require antibiotics. Most authorities, however, consider evidence for the importance of antibiotics to be strong. A one-week course is often beneficial. Surgery is an excellent option if medical treatment isn’t working. The newest method (endoscopic surgery) is much less traumatic than earlier techniques. Most people, armed with determination and the help of a physician, can beat this illness or substantially reduce symptoms. Foxhall Internists Prime provides enhanced, individualized medical care, as well as affording you increased communication with your doctor. It is a membership, annual fee–based program in which the participating physician cares for only a limited number of patients.